These titles are too fitting. A cross country flight and not feeling my other game options led me back to Link. It had been a long time old friend. Of course I couldn’t just pick up where I left off on The Legend of Zelda: A Link Between Worlds, I had to start the game over because that’s what I do. The game brings back so many fond memories since A Link to the Past is my favorite Zelda game. Now I no longer have to find an emulator or load up the Virtual Console. I can play the game that I love updated to a new graphical level with somewhat fresh gameplay. 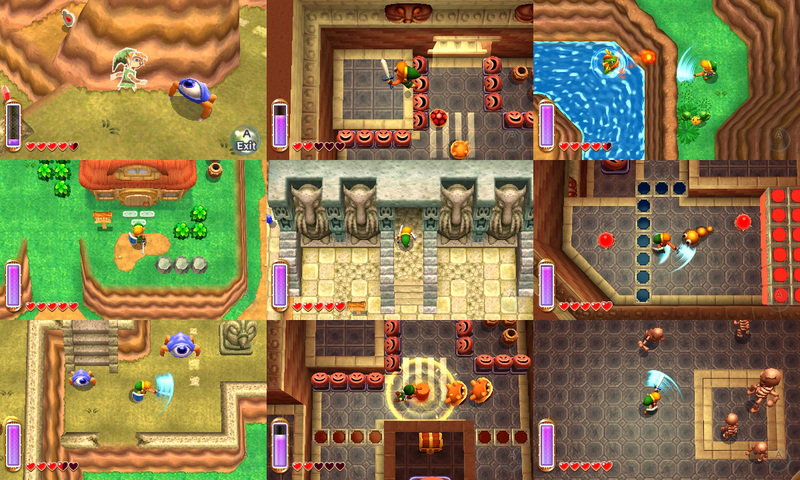 A Link Between Worlds may replace that yearly classic Zelda itch. I barely played the Ocarina of Time 3D re-release. So what is the reason why I can play A Link to the Past and now A Link Between Worlds over and over again without ever tiring? The memories. Of when I sat too close to the TV trying to figure the secret to the Lost Woods. Of when I traded away brand new games to friends while I scratched the itch. All of those memories return every time I play. Now I have 2 games to bring it all back.